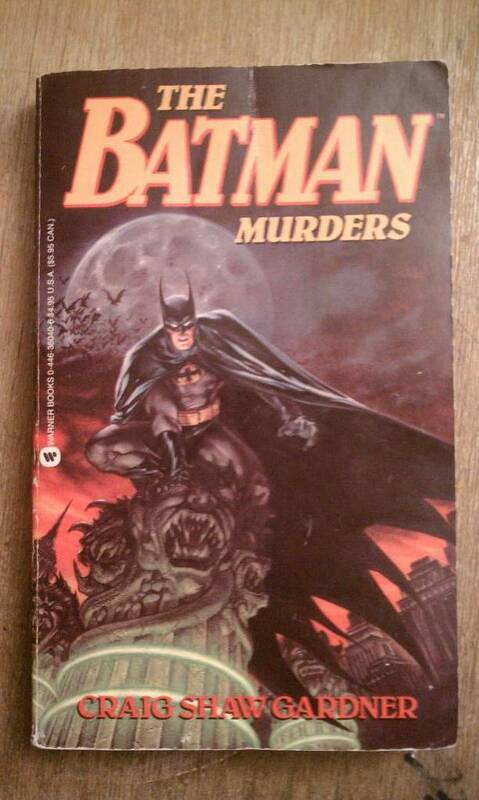 This week, we’re going to be looking at The Batman Murders, written by Craig Shaw Gardner. Published in 1990 by Warner Books, the original retail price for this book was $4.95. I paid a quarter at the Salvation Army. I wanted to make two awesome recommendations to those of you who read comics on your iPad or tablet devices. 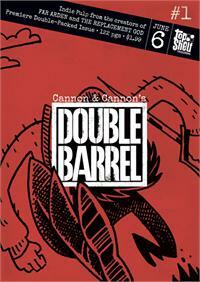 Cartoonists Kevin Cannon (Far Arden) and Zander Cannon have launched Double Barrel, a digital comics initiative where the two are serializing their new comics along with a bunch of sketches and letters from readers. Double Barrel is effectively a streamlined comics magazine and it’s AWESOME. I’ve already written here about my love of Far Arden; it was hugely popular with my students two years ago and I’ve been anxiously awaiting Kevin Cannon’s follow up, Crater XV. Also from Top Shelf, this week sees the release of The League of Extraordinary Gentlemen: 2009 by Alan Moore and Kevin O’Neill. The summation of Moore and O’Neill’s Century storyline, this book has a bunch of people up in arms over Moore’s appropriation of a certain incredibly popular boy wizard character, refashioned by the author into the Antichrist. 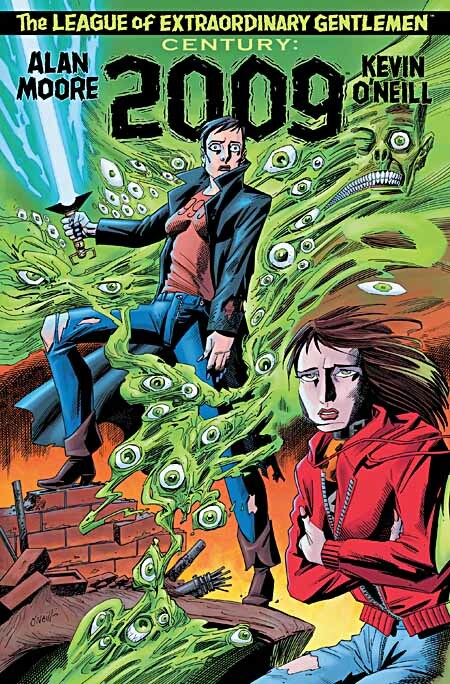 As far as I can tell, the work Moore does is all above board and not legally compromising, but I love the tightrope he and O’Neill walk with every new installment of LoEG. I get that a lot of folks are a little tired of the “winky winky” allusions to popular media, but I’m not and 2009 is my favorite book in the series thus far. I opted to read 2009 on my tablet for three reasons. One, like I said, I’m a sucker for this series and when Top Shelf inevitably collects the first two books in the Century series (1909, 1969) with 2009, I’m going to buy that big collection. I don’t need the individual trades and the big collection. Two, for a book like League of Extraordinary Gentlemen, the “on panel at a time” format most comic readers use is ideal, because Kevin O’Neill packs SO much detail and hidden jokes within his pages, it’s nice to be able to appreciate each one up close. Three… you get 84 pages of content for $4.99; the print version is $9.99. Folks who follow my Twitter feed might already know this, but I happened on a great Half-Price Books find this past Monday. 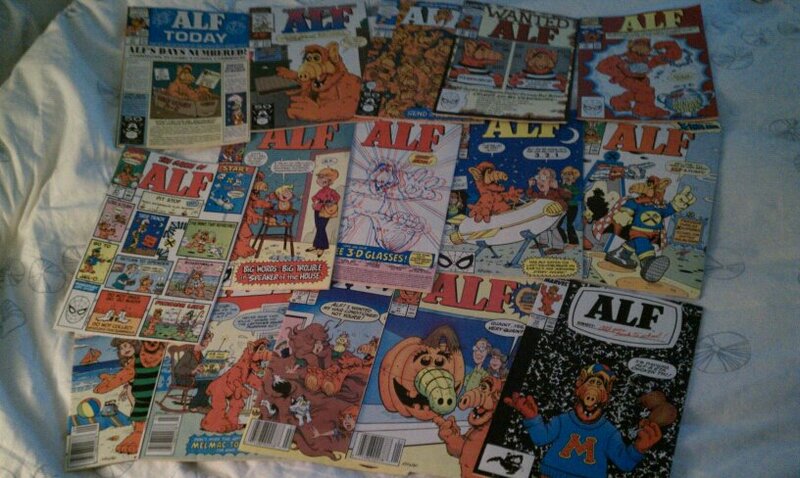 Fifteen issues of Marvel Comics‘ ALF! I did a comic/sketchbook page about my love of ALF comics and how elusive they are to me. I’ve been looking for two years and I’ve happened on two… maybe three ALF comics in that time. To hit the motherlode like this? What a great day. I wish I was being sarcastic there. I’m not going to go into any depth about my love of ALF today, opting instead to save those accolades for a later post… but I thought you’d want to see these comics in all their majesty. I am seriously considering dropping $180 dollars on this. 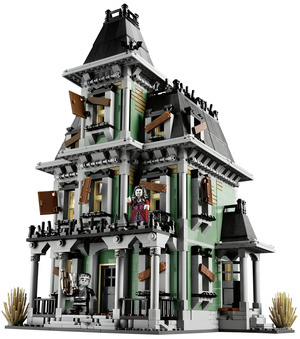 Set for release this September, the Haunted House LEGO playset is a thing of wacky beauty. Part of the company’s Monster Fighters series, this is exactly the LEGO playset I wanted when I was a kid, but at that point the LEGO was just getting around to making castles, not elaborate Addams Family style abodes. I can justify this purchase by saying it will become an annual Halloween decoration in our house, right? “The Graveyard” is this spot in our backyard, christened thusly by Elliot for reasons Ellen and I can’t quite figure out. It’s a bit overgrown, I suppose. Despite all my shilling for that contest a few months ago, I’m going to take a VERY snobby position and say I do not really think the bagels you can buy at Panera are bagels. They’re more like… donuts. Someone once told me displaced New Yorkers like complaining about not being able to get NYC food more than they do finding suitable or even tastier replacements. I think there’s a measure of truth to that. Let me just say then, that I have come to honestly enjoy Panera’s “bagels” over the years. They’re not what I think of when I think bagel, but they do the job decently enough. …yes, of course, well-heeled nerds everywhere know that Henry’s playing with OMAC, the One Man Army Corps. 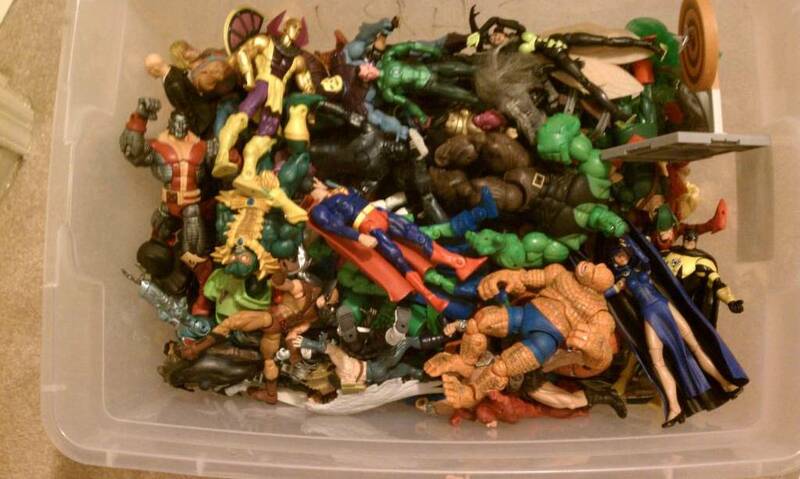 I have this gigantic Tupperware bin of action figures the boys play with regularly. I would say about 80% of these toys were bought at ridiculous discounts. Most of the Marvel Legends figures were scooped up as that line ended its’ run in stores… a lot of them for $3 bucks apiece. The same thing’s happening right now with Mattel’s DC Universe Classics– they toys are on crazy markdowns around here, a lot like the Marvel Universe Black Widow I wrote about in Thrift Store Finds a few weeks ago. This is why we own a toy of OMAC, a character no child in 2012 has ever seen or heard of before. 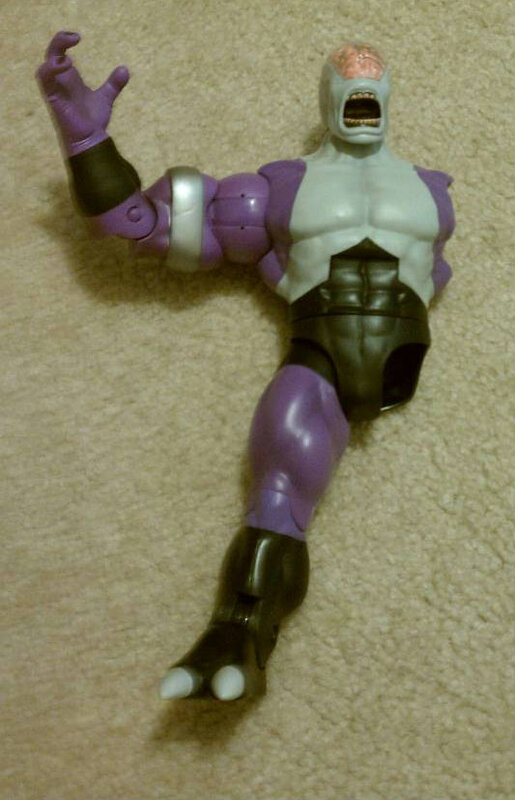 Now, the funny/awesome thing is this: The DCUC toys all come with a Build-A-Figure accessory. The concept has always seemed insane to me, but it works thusly: A toy company releases six action figures in a “wave.” Packaged with each figure is a piece of a larger figure. Purchase say, a Batman toy… and you’ll get the left arm. Buy Superman, get the right leg. Buy all six figures and you can build a gigantic figure. I’m back after taking a week off, wherein I did no drawing and LOTS of napping. I have to admit, I’m a bit worried about how some of these comics will come off from here on out, so I guess I’ll say it again today and then at least have the comfort of knowing I said it: While some of these comics are palpable for a “wide” audience, a lot of them are just snapshots of my kids and their behavior. I’m drawing them more for them than anyone else. 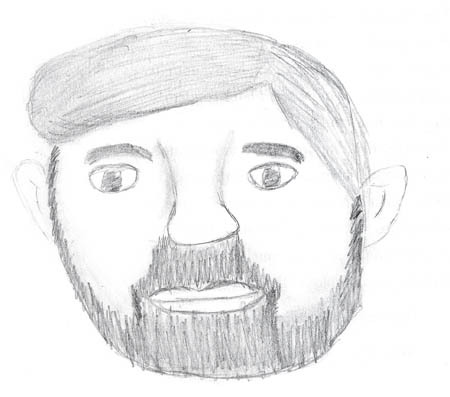 To wit, occasionally these things will come off as treacly (today’s certainly might) but that’s OK by me, since it’s something my kids actually did… and the sketchbook I’m drawing them in will sit on my family’s bookshelves for years. I scan ’em and post ’em because people DO seem to enjoy them. Indeed, if this “Site Views” widget is to be believed, personal comics about my family life > comics about me teaching English to high school freshman. It’s weird and I’ve perhaps mounted a defense against something where I needn’t defend anything but it’s 9:30 and I’m waiting around to proctor a Social Studies OGT, so what the hell. I’m just going to present these without comment this week! You are currently browsing the Teachable Moments blog archives for June, 2012.